Keel lagoon and Blue Way Sea kayaking routes. 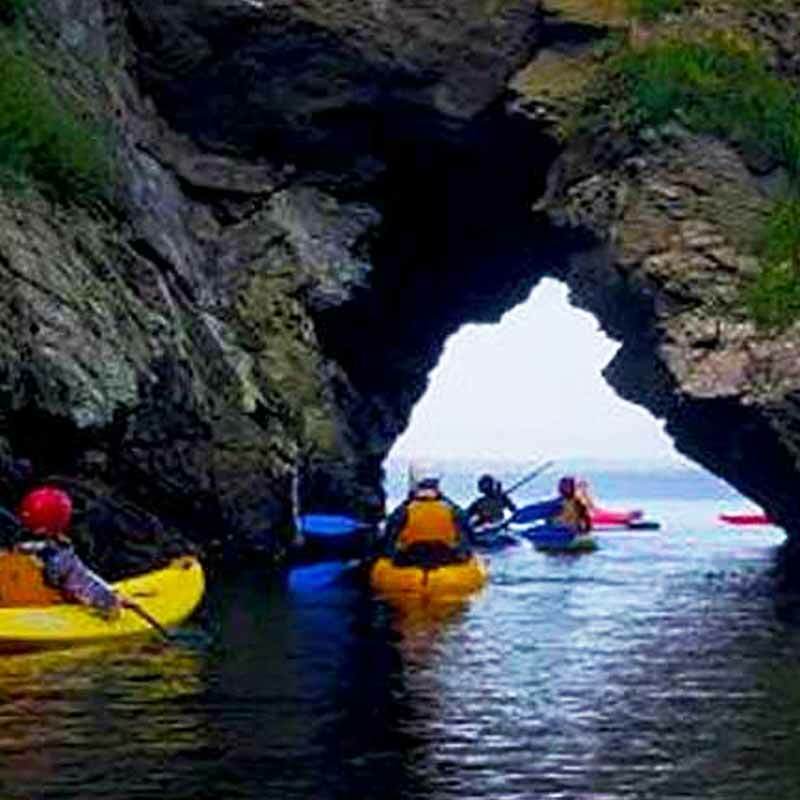 Achill Island offers the perfect location to explore our water ways, with a comprehensive selection of locations suitable for all levels of kayaking skills, including Keel lagoon and Blue Way Sea routes. These locations offer stunning views of mountain landscapes, sea cliffs and local beaches, kayaking on Achill Island will live long in your memory. Keel lake/lagoon offers the perfect location for beginner and intermediate kayak lessons and courses, a beautiful sand bottomed lagoon is an extremely safe location for children or adults wishing to develop their kayaking skills, overlooking Slieve Mor, Achill’s highest peak and the Minaun Sea cliffs. A hive for local wildlife including sea birds, fowl and swans, Keel Lake offers a water based adventure like no other. For the more experienced practitioner check out our Sea kayak page for more information on our magnificent sea kayak tours. 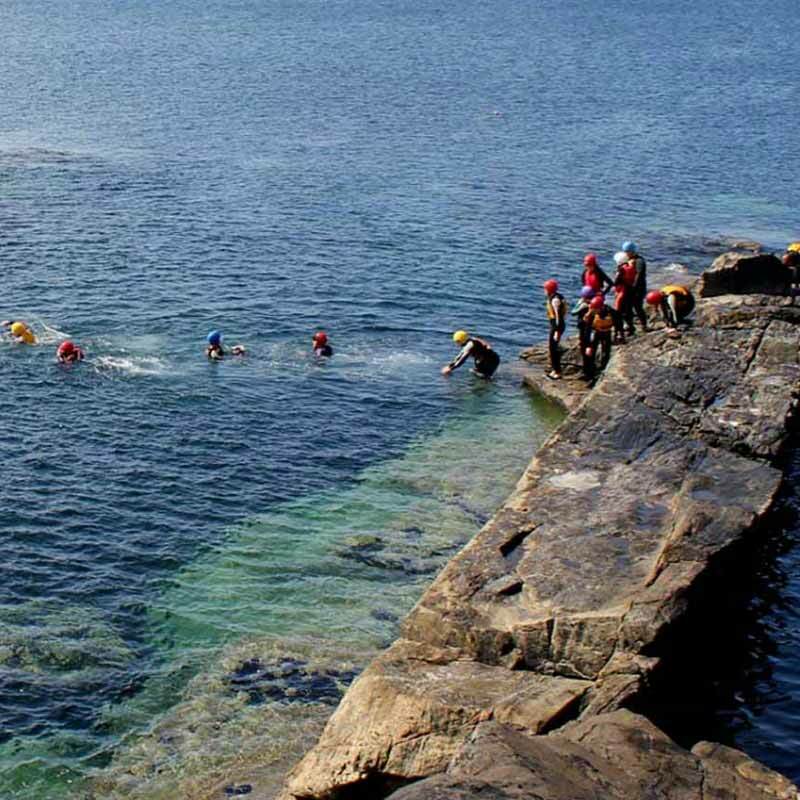 Achill Surf Education and Adventure Centre offers a wide-range of kayaking lessons, kayak courses and tours to all from March to October inclusive. We offer an expansive range of beginner and advanced kayaks on all of our packages and tours. Choose from beginner sit on top kayaks or more advanced play boat or touring style boats. Beginner lessons are available daily during the summer months as are kayaking courses for adults and groups throughout the season. Kayaking sessions form a large part of school tours and outdoor packages available to all youth groups exploring Achill Island. Experienced and qualified instructors aim to build confidence in the water, develop basic skills and ensure you leave with a huge smile on your face, our team has years’ experience offering kayaking lessons and courses to an extensive range of clients. Along with being qualified in various levels of , all of our staff are in house trained in group management, correct teaching techniques and effective risk assessment off all situations. We aim to develop a strong sense of water safety, develop a range of paddle strokes and how to capsize and rescue correctly. More advance tuition is available upon requests for individuals and small groups. You can book now and pay later here.